The pictured item is 19 1/2 inches long. 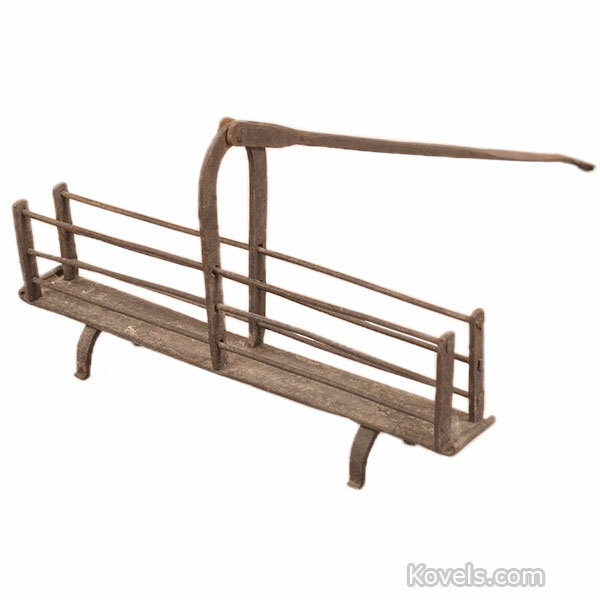 It’s a 19th-century wrought iron hearth with swivel handle. An accessory of some kind for an open hearth. Helps start a fire in the fireplace. Fill it with rolled up paper , set it on the hearth and light it! Is it an antique hod carrier?